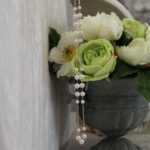 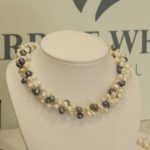 Pearl necklaces made in our design studio by hand, using cultured freshwater pearls sourced for their lustre, colour and beauty. 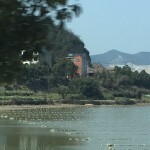 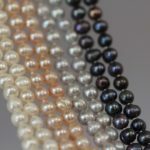 We go every year to Hong Kong and China to talk directly to the families who own and run the pearl farms, so we can select the pearls we want to use. 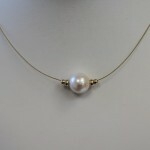 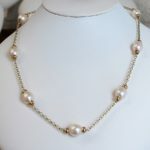 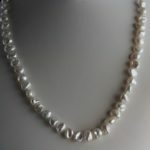 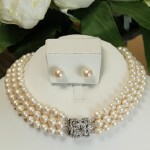 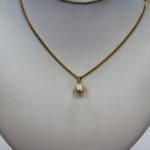 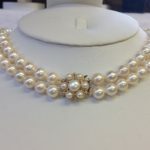 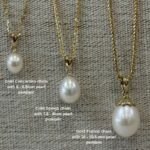 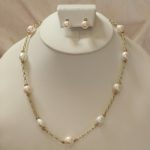 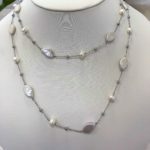 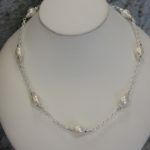 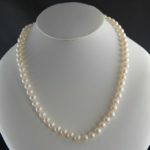 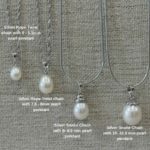 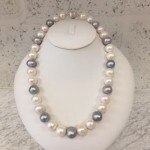 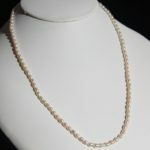 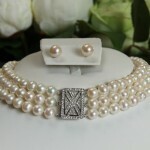 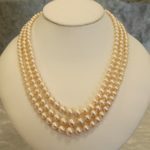 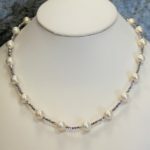 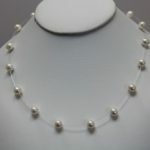 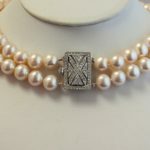 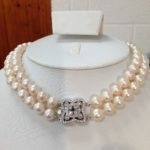 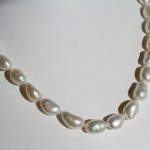 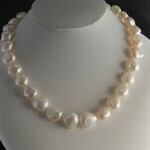 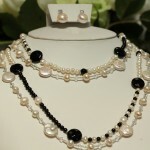 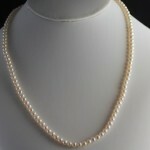 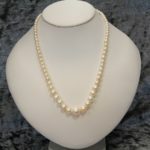 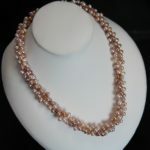 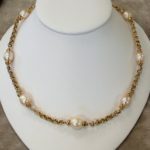 Our pearl necklaces are created to order so we can adjust the length to suit your preferences. 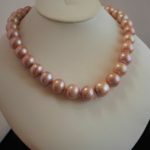 Creating a necklace starts with selecting the pearls and grouping them by size and colour. 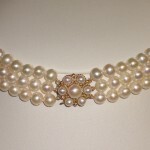 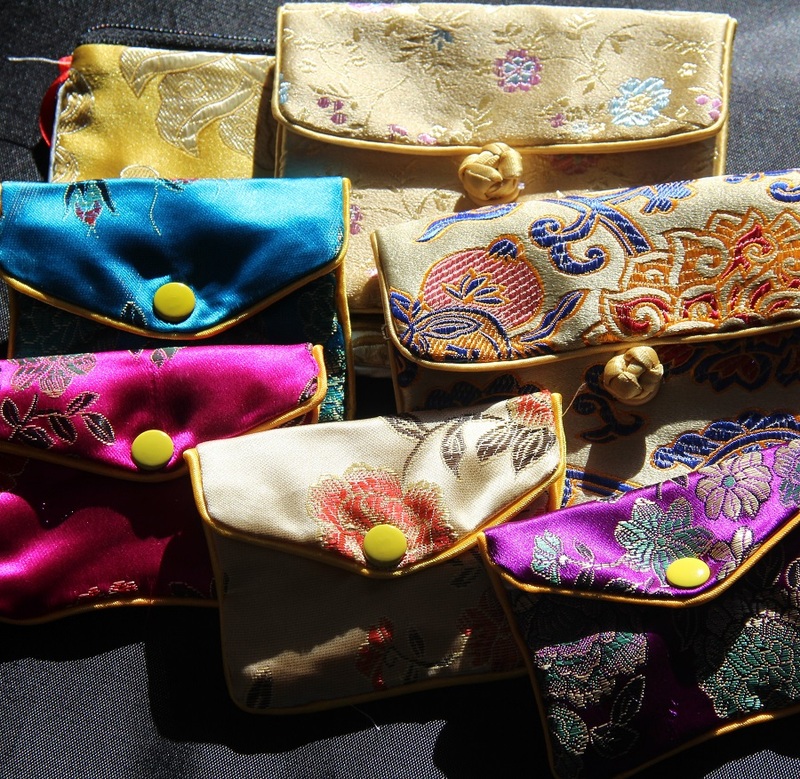 Then they are carefully strung by hand onto silk threads and fully knotted to ensure even spacing between the pearls. 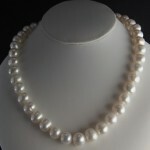 This is a highly skilled process. 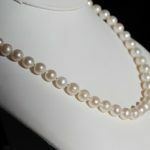 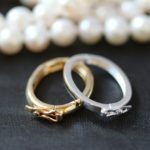 We use a variety of fasteners, depending on the weight of the pearl necklace. 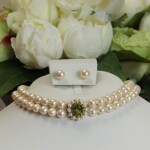 Where possible, we offer you a choice of fasteners, chosen to enhance the natural elegance of the pearls. 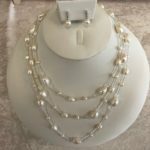 Our classic pearl necklaces reflect the tradition of giving pearls to a young girl as a 18 or 21st birthday gift to mark her coming out. 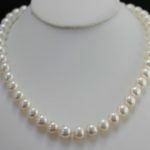 Every debutante would wear pearls, symbolic as they are of purity. 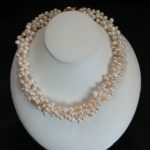 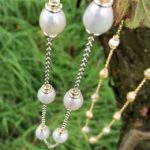 The pearl necklace remains to this day one of the most versatile and useful item of jewellery one can own, along with pearl stud earrings.